We do too! Free Shipping on all orders over $99, shop on! 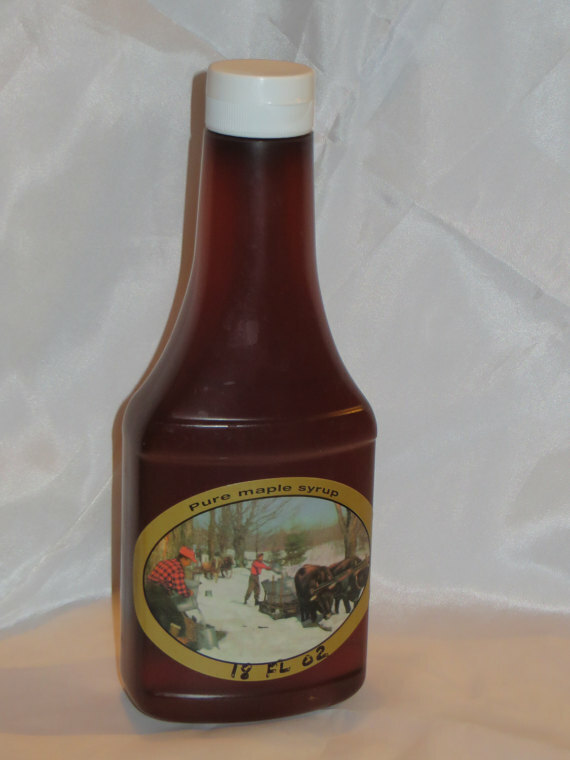 500 ml of pure New York maple syrup in an easy to use squeeze container - great for table use. Please note, displayed imagery is representative of the product and packaging styles though they may change over time. The one thing which will stay the same - the quality! life is just a little sweeter up on the hill! Due to the nature of our products, we want you to receive the freshest product. Therefore, shipping will occur on Mondays and Tuesdays, allowing the postal service time to ensure your product arrives in a timely fashion. Due to the nature of our product, the shipping weight can really add up. We try to ship the most economical for our customers. Therefore, we ship USPS First Class Mail or USPS Priority Mail depending on your order. Product descriptions will clarify which method. Shipping upgrades are available at the buyers expense. Included in all our shipping prices is Insurance, USPS delivery tracking, and Signature Confirmation to ensure your product arrives directly to you safe and sound. We try to maintain 110% customer satisfaction. If you are not satisfied with a product, please contact us within 15 days of receiving your order. Custom orders and wholesale orders are always welcome. We are convo friendly so please send us a convo with your inquiry! We have our products on hand year round! Thank you for "stopping by" our farm! We pride ourselves in our pure maple products made on our farm. We are three generations working together: our father who is "General Manager/Overseer" and our mother who makes the best sugarcakes and cream, we children (all six of us and our spouses), and our children who we say are "in-training"! It truly is a family affair. © 2017 Moser's Mapleridge Farm. All Rights Reserved.